DL News 2014/6 is here and the index of earlier editions is here. 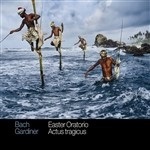 Rounding out John Eliot Gardiner’s series of Bach cantatas is this new recording of BWV 106, Actus Tragicus, one of the most moving of Bach’s cantatas. Gardiner’s Bach cantatas pilgrimage of 2000 did not see a release of this cantata, though a 1989 recording is available from Deutsche Grammophon. This stark funeral cantata, written early in Bach’s life, is moving and profound, and is often one of the first cantatas I recommend to those new to the genre. Gardiner’s performance is balanced and subtle, and the soloists are all excellent. There is a fine interplay of the soloists and small chorus, notably in Heute wirst du mit mir im Paradies sein, a beautiful arioso for bass and chorus, with a minimalist accompaniment of organ with viola da gamba obbligato. The entire work is beautifully embroidered, and the sound here is excellent. As for the Easter Oratorio, Gardiner says, in the liner notes: “It has often puzzled me why the Easter Oratorio BWV 249 is sometimes considered the ugly (or at least forgotten) duckling among Bach’s choral works.” It is a beautiful work which has all the elements of the larger choral works, and which reminds me of the Christmas Oratorio. For a work about death, it opens with a rousing, foot-tapping sinfonia. At 41 minutes, this is longer than any cantata, but shorter than the passions. One of the highlights is the long soprano aria Seele, deine Spezereien, which, at nearly eleven minutes, is similar in tone to the well-known Erbarme dich of the St Matthew Passion. This one features flute obbligato and continuo, and soprano Hannah Morrison is more than competent here. The tenor aria Sanfte soll mein Todeskummer, at around seven minutes, is also beautifully performed by Nicholas Mulroy. All in all, this is a very successful recording of this work. Unfortunately, the way these two works are coupled is detrimental to BWV106. Just after its melancholy ending, with little silence, the Easter Oratorio begins, with its bleating horns and sinuous oboe melodies. With such a change in volume, there should be more time to allow the first work to fade away. I’m very much enamoured of Gardiner’s recordings of Bach’s sacred works; I have all of his cantata pilgrimage discs, having subscribed to the original releases over many years. This is a wonderful addition to that series, and if you like Gardiner’s Bach, then you simply must get this. rec. 2007-2009, Louis de Geer Concert Hall, Norrköping, Sweden. BIS BIS-SACD-1693, BIS-SACD-1793, BIS-SACD-1792, BIS-SACD-1692  from eclassical.com (mp3, 16- and 24-bit lossless): Nos.1 and 3; No.4 and Op.61; No.5 and Fantasia; No.2, etc. 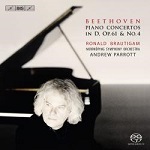 As Ronald Brautigam has recently released yet another disc of his complete solo works for piano by Beethoven, I was tempted to have a look at his recordings of Beethoven’s piano concertos. Unlike in the solo sets he’s recorded – Haydn, Mozart and Beethoven – where he plays a fortepiano, Brautigam plays the concerts on a Steinway D. I was actually disappointed; I wanted to hear fortepiano recordings of the concertos, and there are only a few in print. One aspect of these recordings that stands out is the sound. “We have chosen to put the piano, without a lid, in the middle of the orchestra.” This isn’t quite true; in a diagram in one of the booklets, the piano is in front of the orchestra, in the centre, with the conductor between the piano and the rest of the orchestra. “Middle,” to me, suggests that the orchestra is all around the piano. Nevertheless, it is clear that there is a different balance, and, at times, this presents some occasional odd dynamics where the piano is overwhelmed by the orchestra. Listening in this way is curious; the piano no longer sounds like a solo instrument, as it’s miked in the center of the orchestra. This isn’t a bad thing; it’s just different. Aside from the occasional muddy sounding passages, the recording quality is excellent, and the piano does have an interesting presence compared to “traditional” recordings. As for the performances, they are wonderful. 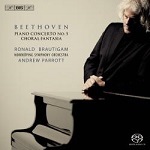 With a compact orchestra, the piano takes more prominence, and Brautigam is as good a pianist as he is a fortepianist. 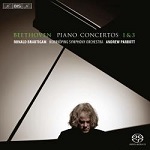 Tony Haywood went into great detail about the disc containing concertos 1 and 3 in a MusicWeb International review; it seems we haven’t reviewed any of the other individual discs, and he, too, was surprised that it did not feature a fortepiano. My only hesitation concerns the tempi, which are often a bit fast; the fast runs at the beginning of the Rondo in Concerto no. 4, for example, get blurred by the speed. Those tempi carry over to all the concertos, and you may not want to listen to these works at such fast speeds. As an example, Brautigam plays the Emperor Concerto in 34:40. Lewis plays it in 38:50; Brendel, on Decca, plays it in 39:54; Gould plays it in 42:32; and Barenboim, in his 2007 live recording, 40:43. But I find Brautigam’s performances exciting; almost breath-taking at times. The five concertos are presented across four discs, as you can see above. Only one disc has two concertos; the others have additional works, such as a piano arrangement of the violin concerto, and so on. Bis should probably put these four discs in a box set, for those who want the complete set of concertos. I consider the additional works, which I don’t know very well, to be bonuses. The four discs together come to just under four hours, which, even with Brautigam’s fast tempi, is an hour more than most sets of the five concertos alone. I’ll quote Tony Haywood’s review one more time: “Overall, it’s very hard to fault this disc but – and it’s a big one – as a ‘conventional’ performance it does enter an exceptionally crowded field, whereas it may have become an easy front-runner if period instruments had been used.” I, too, regret that these recordings aren’t on fortepianos, but I find myself quite attracted to them. Not what I had expected, but well worth the listen, if you don’t have too many recordings of Beethoven’s piano concertos. See also: Schubert: Works for piano, vol. 2 – from eclassical.com and Schubert: Piano Sonatas D840, 850 and 894 – from eclassical.com. Sometimes when we listen to a recording, and really like it, we search for the reasons why. Perhaps the tempo and dynamics are different enough from what we’re used to that we sit up and take notice. Sometimes it’s the sound of the recording. Maybe in an opera there’s a soloist we really like. But occasionally, there’s a certain indefinable something that grips you when you hear a new release of music you’ve known for a long time. That’s how I felt when I settled into listening to Paul Lewis’ new release of Schubert’s Late Piano Sonatas. I’ve heard these works scores of times, but something about Lewis’ playing on this set connected with me. I’d heard the first of Lewis’ three recent Schubert releases on Harmonia Mundi, and very much liked his interpretations of these works. But in the late sonatas, he comes across as powerful and convincing. Schubert is one of my favorite composers, and his piano music is something I’ve been listening to for decades. A recording of his final piano sonata, the B Flat Major sonata, D960, performed by Maria João Pires, on Erato, was one of the first CDs I ever bought. I’ve always been fascinated by this work, by its scale and its subtleties. What’s interesting about this set is that Paul Lewis has maintained his style over more than ten years. The second disc was recorded in 2002. Since Lewis decided to focus more on Schubert, they have bundled it with a new recording of D784 and D958, replacing the one that he made earlier. I’m struck by the violence of his playing. I recall that, when Lewis released his cycle of Beethoven sonatas, one of the criticisms was that he didn’t play the music with the strength it sometimes requires. (I disagree; I very much like his Beethoven cycle.) Schubert’s music can be violent, but it can also be suave and sinuous, and Lewis is able to modulate his style as necessary, but he certainly doesn’t hold back in the more lively sections of the music. His approach to the final D960 sonata is tasteful and energetic, and his sound is excellent, and for the other three late sonatas, he shows that he can modulate his energy as needed. 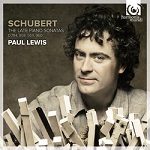 Lewis seems to understand Schubert as few pianists do. Listening to his recordings of these sonatas, one cannot but appreciate his nuanced approach to the works. He’s also worked as an accompanist with Mark Padmore in recordings of the three great Schubert song cycles, showing that he can be in the background when necessary; perhaps pianists who accompany singers in Schubert understand the solo piano works more. After all, all of Schubert’s music is song-based. In addition to this release, there are two other sets available from Harmonia Mundi. The first contains the sonatas D840, 859 and 894, along with the Op.90 Impromptus and the Drei Klavierstücke. The second set contains the Wanderer Fantasy, the Op.142 Impromptus, sonata D845, and the Six Moments Musicaux. It’s unfortunate that the Impromptus aren’t grouped in the same set, as is often the case, but if you like Lewis’ playing, you’ll want to get all three sets. I haven’t read that Lewis is planning to record any of the other Schubert sonatas, so this may be the final set in his series. There’s a total of just under 7 hours of music, and if you like Schubert, I’d strongly recommend it. This new recording follows fairly hard on the heels of Where late the sweet Birds sang, music by Parsons, White and Byrd (CKD417); two of these composers also appear on the new recording, and it’s just as desirable. 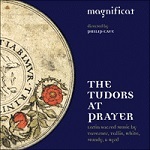 It’s becoming monotonous – though I’m certainly not complaining – to hail the quality of the performances of renaissance music from Magnificat and Philip Cave on Linn. It’s also unsettling to have to hedge my bets when recommending established groups such as the Tallis Scholars and The Sixteen in order to point out that they have so many rivals now. The opening work here, Mundy’s Vox patris cælestis, to a text in praise of the Virgin Mary, with words largely adapted from the Song of Songs, has been Tallis Scholars prime territory for over 40 years since they introduced me to a work I had never heard before on their first recording (1980, Classics for Pleasure, reissued on Gimell GIMSE401). Subsequently it’s been recorded by Westminster Abbey (Hyperion CDA67704) and The Sixteen (Hyperion Helios CDH55086, also CDS44401/10, 10 CDs, and more recently on Coro COR16119) and the Tallis Scholars themselves re-recorded it on Live in Oxford, Gimell CDGIM998). That’s powerful competition but Magnificat are equal to the challenge and to that presented by all the music here. Another winner for all concerned. If you are looking for a stylish and attractive historically-informed performance, this new Signum recording could be for you, especially if you have always wanted to follow the sonnets which Vivaldi keyed into the score, marking with letters where each section begins. That’s the strong point of the booklet; its weakness is that I can’t see what version of the score has been employed and that’s important when several modern recordings use manuscript sources, such as the version housed in the Rylands Library, Manchester. The performances are very good without being exceptional, apart from some unique but apposite ornamentation and some enthusiastic percussive participation in Autumn. The recording does the performances justice, even as heard in low-bit sound from the Naxos Music Library, but there’s one other reservation that I must mention: 41 minutes is very short for a full-price recording, even as a download. If you’re prepared to accept a less than ideal bit-rate and no booklet, emusic.com have this for £5.04.  The English Concert/Trevor Pinnock – the Four Seasons alone on DG The Works for £1.99 from 7music.com or with RV548 and RV516 [56:08] on DG Originals 4746162 – £4.99 from 7music.com. Also as part of a 7-disc set of Vivaldi, with Op.3 and Op.4, etc. on DG Collectors Edition 4790135 – £15.99 from 7music.com.  Academy of Ancient Music/Christopher Hogwood – Decca Collectors Edition E4757693 (Op.3, Op.4, Op.8 and Op.9 complete, 7 hours of music, download only – £23.80 (mp3) or £29.74 (lossless) from prestoclassical.co.uk.  Europa Galante/Fabio Biondi (with RV171 and RV163 ‘Conca’) Opus111 56-9120 [53:06] – from eclassical.com (mp3 and lossless). The short playing time is matched by the price of $9.56. Also available for streaming from Naxos Music Library and from classicsonline.com for £4.99 if you’re happy with 320kb/s mp3 – but there’s no booklet from any of these.  Europa Galante/Fabio Biondi (complete Op.8/1-12 with L’Estro Armonico, Op.3/1-12) Virgin 6484082 (4 CDs: target price £11.65). My strongest overall recommendation for Op.8 and Op.3 and at an affordable price when I reviewed the set in 2010 – here – and still tops for performance quality and value. If you are just looking for Op.3, 7digital.com offer the 2-CD download for a bargain £3.49 and sainsburysentertainment.co.uk have the complete Op.8 set for £5.99. There’s little to choose between the two Biondi performances so choice can safely be made on the basis of price or the availability of the Opus111 in lossless sound.  Avison Ensemble/Pavlo Beznosiuk – Linn CKD365 (2 CDs [57:54 + 56:16] for the price of one: complete Op.8/1-12). 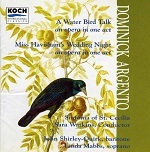 SACD or download from linnrecords.com in mp3, 16- and 24-bit lossless, prices ranging from £8 to £18, with 16-bit lossless at £10 or hyperion-records.co.uk (mp3 and 16-bit only, prices as from Linn). Pdf booklet included. This is yet another first-rate historically-informed performance at a very reasonable price and available in lossless sound – see October 2011/2 DL Roundup. Among non-period performances I am still full of admiration for the Academy of St Martin in the Fields with Alan Loveday (violin) and directed by Sir Neville Marriner on Decca Originals 4757531 ([74:12] with RV535, 498 and 433) – Download of the Month in August 2009. Listen to Loveday shaking the icicles off his violin in Winter and you’ll be sold even if you also have or intend to buy one of the period-instrument versions. The download seems no longer to be available in the UK except from deutschegrammophon.com, where, crazily, the lossless version costs more than the CD, which remains in the catalogue. Another version with modern instruments which I used to own on a Vox Turnabout LP comes from Susanne Lautenbacher (violin) and Jörg Faerber with the Württemberg Chamber Orchestra, reissued on Vox ACD8002 with RV256 and Op.3/10 [64:53] and available for £4.99 from 7digital.com or classicsonline.com also strikes a reasonable balance between modern and period practice. Though they take a slow 3:30 for the opening movement of Winter, they bring the music effectively to life. Stream from Naxos Music Library. Anne-Sophie Mutter (violin) and Herbert von Karajan with the Vienna Phil bring some imaginative touches to these concertos on EMI but, like both of Nigel Kennedy’s recordings on the same label, they pull the music about too much. Not surprisingly this was the first classical recording to go platinum. If it’s your cup of tea it comes on EMI/Warner Red Line for around £5, which is less expensive than any download that I can find. 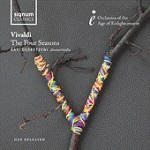 Those in search of a real bargain will find a decent set of performances of The Four Seasons on modern instruments from the London Chamber Orchestra and Christopher Warren Green on an EMI/Warner Erato download album 100 Best Vivaldi – over six hours of music for £6.99 from sainsburysentertainment.co.uk. There’s also orchestral, chamber and vocal music from the likes of Andrew Parrott, Fabio Biondi and Charles Medlam. The LCO take the opening movement of Winter absurdly quickly and that’s just one of several foibles, but the set overall represents excellent value for those whose collections are light on Vivaldi. Stream from Naxos Music Library. For a stroll down memory lane you might wish to try the Hallmark reissue of Karl Münchinger’s first (1951 mono) recording with Reinhold Barchet (violin) and the Stuttgart Chamber Orchestra. When Decca reissued these performances on the Ace of Clubs label the Vivaldi bandwagon really took off and those of us of a certain age first got to know The Seasons in this way. It cost me all of £1.68 from emusic.com to see how Barchet and Münchinger hold up. Oh dear, I had hoped that it would belie all the adverse comments that I’ve made over the years, but the very sedate opening of Spring – 3:47 for a movement which takes around 3:00 in more recent versions – sets the pace. The barking dog in the second movement seems to have been left completely out of account. 7digital.com normally ask £7.99 for this, which is too much, but they have currently reduced it to a more reasonable £3.96 and their version comes at the full 320kb/s. They also have the later, slightly zippier version from Münchinger and the Stuttgart CO with Werner Krotzinger as soloist, for £3.99 – here . By the time of this second attempt the tempo for the first movement of Spring had speeded up to 3:26 but that’s still rather sedate. Winter was the most successful concerto in Münchinger’s hands, even in the first mono version. As time progressed his tempi tightened, especially for the first movement: 3:47 with Barchet, then 3:34 with Krotzinger and finally 3:18 with Konstanty Kulik in 1973 on a recording still available till recently on Decca Eloquence 4674152, which happens to be exactly the same as on the Loveday/Marriner recording and faster than Biondi (Opus11) at 3:39, though on his Virgin/Erato recording he takes 3:11. If you want to return to the really bad old days and you live in a country where Naxos Classical Archive recordings are available, try John Corigliano (violin) and Guido Cantelli with the New York Philharmonic Symphony Orchestra who in 1955 took a shade over 5 minutes for that movement. For many of these and other recommended recordings look at the MusicWeb International list of preferred recordings here. RESONUS CLASSICS RES10131 [79:27] – No CD: download only from resonusclassics.com (mp3, aac, 16- and 24-bit lossless) or eclassical.com (mp3, 16- and 24-bit lossless) or stream from Naxos Music Library. Dominy Clements thought Steven Devine’s recording of the Bach Goldberg Variations on Chandos CHAN0780 certainly among the best – review. He also made a distinguished contribution to the London Baroque series of Trio Sonatas (see review of BIS-CD-1995 and 2013/7 DL News) so I’m pleased to see not only that he has turned his attention to Rameau but that this is billed as Volume 1 of an ongoing series. I hope that means that we shall have the keyboard music complete: Chandos’ 1999 recordings with Sophie Yates ran to only two CDs. 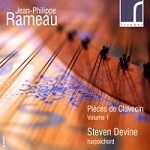 Volume 1 of that collection, containing all but the finalMenuet from the new Resonus recording, is my benchmark for Devine (CHAN0659 [70:59] – from theclassicalshop.net, mp3, 16- and 24-bit lossless). It’s hard to choose between the two, in fact. Some of Rameau’s most imaginative keyboard music imitates birds, like La Poule which caught Respighi’s attention for use in Gli Uccelli. Devine has yet to record the suite which contains that but he captures the spirit of the similar Rappel des Oiseaux in the e minor Suite (track 14). Yates is a little more fleet-fingered, sounds a little more delicate in this movement and her instrument is a little brighter in tone (track 15) but none of these is sufficient to sway me either way. You can hardly go wrong with either. Harpsichord haters will probably prefer one or all of the three recordings which Toccata have brought us, with Stephen Gutman at the piano. Though I normally much prefer the harpsichord to the piano in Baroque and early Classical music, I have been greatly taken by this series from the very start. Volume 1 (TOCC0050) contains the Suites in a minor and e minor which Resonus have included in their first volume; I concluded my review of that CD by assuring harpsichord lovers that they would not be offended. If anything my ‘test piece, Le Rappel des Oiseaux (tr.14), sounds even more delicate than from Devine or Yates. The Suite in d minor/D major is on Toccata’s Volume 2 (TOCC0051), with which I was just as happy as with its predecessor – review. TOCCATA CLASSICS TOCC0052 [68:48] – from toccataclassics.com (mp3 and lossless) or eclassical.com (mp3 and lossless) or stream from Naxos Music Library. CD available from MusicWeb-International (£10.50 p.p. worldwide). I see that my wish for the appearance of this album has even made it to Facebook – here – and it’s everything that I had hoped for. Once again Stephen Gutman makes me become keyboard-blind, with performances that are just as enjoyable as Steven Devine’s on the harpsichord. Better still, though Resonus will doubtless also run to three albums, none of the music on Toccata Volume 3 overlaps with Resonus Volume 1. This is not the sound that Rameau would have heard or expected to hear but pianism of this quality is so satisfying that I have no wish to play the period-instrument card. The recording is very good, too, and the booklet of notes informative. The Recording of the Month accolade is for the whole series. 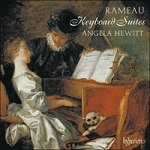 If you don’t wish to invest in the three Toccata recordings but would like to hear Rameau sounding as natural on the piano as on the harpsichord, Angela Hewitt plays a selection on Hyperion CDA67597 [77:59] – from hyperion-records.co.uk (mp3 and lossless, with pdf booklet). If anything her touch in the performances of the Suites in e minor (1724/1731) [21:28], g minor/G major (1728) [28:21] and a minor/A major (1724) [28:10] is even lighter than Gutman’s. I’m much more positive about Hewitt in Rameau than Patrick Waller – review. Both Gutman and Hewitt successfully employ a degree of decoration which in other hands might well sound unnatural on the piano. One other competitor on the harpsichord has just been reissued on Outhere’s mid-price Rewind series. Céline Frisch performs the Suites in a minor (1706) [23:10], e minor (1724) [22:39] and G major/g minor (1728) [31:06], recorded in 2007, on REW514 [76:56], formerly on Alpha134. The original Alpha release comes with a more attractive cover than the childish Rewind artwork and with superior information – the track listing on Rewind fails to distinguish between the 1724 and 1728 Suites. The eclassical.com download of the original Alpha release, complete with booklet, comes in mp3 and lossless and, at $13.80, is competitive in price with the Rewind CD (around £8 or 9 Euros from outhere-music.com). Frisch is a distinguished harpsichordist with a beautifully delicate touch – see my review of her recording of Bach Keyboard Concertos with Café Zimmerman, ALPHA168, August 2011/1 DL Roundup – and she can play forcefully, too, when required, with plenty of life in La Poule, for example (track 21). Her performance of Le Rappel des Oiseaux (tr.13) is just as enjoyable as any that I’ve mentioned, but for around the same price in download form I marginally prefer Hewitt’s similar selection if you don’t mind her use of the piano. Just a short confirmation of Dominy Clements’ assessment of this as something to revive your spirits – review. One small correction: he gives the time as 71:09, as listed in the booklet, but it’s actually 63:40. The press download from outhere.com to which I listened is at just 192kb/s – far from ideal, but good enough to assure me that the 320kb/s version from classicsonline.com will sound fine. ACCENT ACC25318 [70:07] – from eclassical.com (mp3 and lossless, no booklet) or classicsonline.com (mp3, with booklet) or stream from Naxos Music Library (with booklet). Also available on SACD. I wrongly thought and wrote that this series had ended some time ago. It was never intended to be as comprehensive as the recently completed Suzuki (BIS) and Gardiner (SDG) projects or the much earlier series which Harnoncourt and Leonhardt made for Teldec (now part of the Warner USB complete Bach) but it is intended to include a cantata for every Sunday and major festival in the year. Sometimes the choice has featured a particular time of year but this is a diverse collection, ranging from Palm Sunday to the last Sunday before Advent. Nor are these works from the same period of Bach’s creative output: BWV182 was composed early in his career, in Weimar in 1714, while BWV9 may date from as late as 1735. That grumble apart – and Suzuki is not exempt from the same charge – fans of Sigiswald Kuijken’s smaller-scale approach to the Bach cantatas will know what to expect. As I wrote in reviewing Volume 15 – here – there is more than one way to perform this music and on the whole I’m happy with either, except that some cantatas seem to lend themselves to performance by a larger ensemble, which I felt was the case with BWV140 on that earlier volume. That isn’t so much the case here, but one-to-a-part leaves the soloists very exposed, especially when the recording is so analytical. As with Volume 15, the singing is good – if not quite ideal, it’s doubtless a good deal better than Bach would have heard, though there’s also something very special about hearing boy trebles on Teldec-Warner, as Bach would have expected. I should also say that while I like the use of period instruments important for Bach, La Petite Bande sometimes requires a touch more tolerance than some other ensembles – again the analytical recording shows up any small oddities. Again, however, I’m sure that Bach never heard anything approaching this quality of accompaniment. I don’t want to make too much of these small reservations; I enjoyed hearing this latest album and if you have heard any of the earlier volumes and been happy with what you have heard, you should enjoy this volume, too. If in doubt, try to listen via Naxos Music Library, where you can also find the pdf booklet. Eclassical.com is your best source if you want lossless sound. Classicsonline.com will charge you about the same for mp3 only but they throw in the valuable booklet – worth having for Sigiswald Kuijken’s detailed notes as well as for the texts though these are, in any case, easily available online. rec. Oratory of St. Joseph, Urbino, 19-20 July 2013 (Concertos) and parish church of Montaldo Torinese, 18 September 2013 (Sonatas). DDD. ARCANA A375 [71:46] – due for release 19 May 2014. The booklet hails Platti as the father of the classical sonata between Vivaldi and Mozart. Admittedly that’s a deliberately provocative claim but he does occupy an important place between the baroque and classical. His music, composed at the episcopal court of Würzburg, has had a tenuous position in the catalogue, so this recording of his keyboard concertos is welcome, especially as it offers a varied programme, including a delightful oboe sonata – my pick of the music and written for Platti’s own chief instrument. The fortepiano employed is a copy of one that would have been contemporary with Platti’s music. Only the most extreme haters of the instrument are likely to find it other than mellifluous and it blends well with the other period instruments employed by Concerto Madrigalesco. I don’t have any benchmark for this music but I liked the performances and I don’t think anything better is likely to come along soon. The press download from outhere.com was at a low bit-rate but sounded fine. 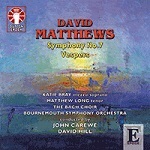 Watch out for 320kb/s mp3 from classicsonline.com or lossless from eclassical.com. classicsonline.com have the Platti Concerti Grossi after Corelli, which I mentioned in January 2009 DL Roundup, in better-quality 320kb/s sound than the emusic.com download and eclassical.com also have this for a little more in mp3 and lossless. 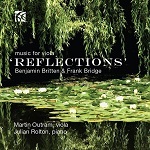 It’s choice time again: this recording is taken from Naxos 8.550874 where it’s available on CD for around £6 or as a download from classicsonline.com (COL) in mp3 for £4.99 or in refurbished form from 2xHD from eclassical.com for $10.43 in mp3 or 16-bit lossless and $15.64 in 24-bit format, where it joins the 2xHD refurbishments of other Naxos recordings which I reviewed last time and several other new ex-Naxos albums. This is one of a number of stylish recordings of early Mozart which the NCO and Nicholas Ward made for Naxos – modern instruments played with a sense of period style, some of which I’ve recommended in past DL Roundups: for Symphonies Nos. 1-5 and 6-10 see January 2012/1 DL Roundup. The recording sounds particularly well in 24-bit format. I’m not sure that the new cover is an improvement on the Naxos original and I’m sure that mp3 purchasers would be as well served at a lower price from COL, but the 16-bit from eclassical.com is roughly the same price at current exchange rates as the CD and the 24-bit is available for not too steep an extra price. 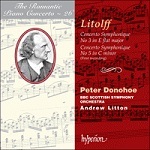  Da Capo 6.220540 – Danish Radio Sinfonietta/Adam Fischer (Symphonies 15-18) – review and January 2012/1 DL Roundup. Now available additionally in 24-bit lossless from eclassical.com. All of these offer stylish performances. Back me into a corner, however, and I would go for Mackerras, whose Linn recordings of the later symphonies are very special – see below. If you decide to purchase the Ward recordings in whatever form, why not add Mackerras’s recording of No.14 – four tracks for £1.68 for subscribers to emusic.com or £3.96 from 7digital.com . Alternatively eclassical.com have Volume 4 of the Danish National CO/Adam Fischer series: Symphonies Nos. 12 in G, K110 (75B), ‘46’ in C, K96 (111B), 13 in F, K112 and 14 in A, K114 on DaCapo 6.220539 in mp3, 16- and 24-bit lossless, with pdf booklet. The short playing time [54:12] is taken into account in fixing the price: $9.77 for mp3 and 16-bit, $14.65 for 24-bit. If you don’t yet have a set of the later symphonies, especially the last six, Nos. 35, 36 and 38-41, this is not the place to begin – early Mozart symphonies are attractive but hardly memorable, as all Haydn’s are. Eugen Jochum’s classic recording of the Linz comes in at under 27 minutes, not because he is faster than Belohlávek but because he is far less liberal with repeats – in part, no doubt, because 26:43 was rather long for a single LP side back in the day. These are old-style performances in the best sense – like Karl Böhm, Jochum never made Mozart sound stodgy – and they were well worth rescuing. The recording, mono only, is a trifle shrill but not excessively so. The eclassical.com download is more expensive than that from classicsonline.com but the lossless transfer makes it worth paying the extra ($8.75 against £1.99). Sadly copyright laws mean that this download is not available in the USA and several other countries. For an alternative recommendation of Symphony No.33 from a slightly older vintage (1952), try Eduard van Beinum with the Concertgebouw Orchestra (Beulah 22-25BX37 – September 2012/1 DL Roundup). For the crème de la crème of old-style Mozart symphonies you need to turn to Bruno Walter, either his earlier mono set with the NYPO or in decent stereo sound with the Columbia SO in a 6-CD box set Sony Classical Masters – 88697906832. The 2-CD set of Nos.35-41 which CBS issued in their latter days remains my benchmark for recordings of these works other than the historically-informed. Jiři Bělohlávek offers a penny-plain pair of performances that sound somewhat old-fashioned now. If you are looking for a modern recording of the Linz and Haffner I strongly suggest investing in the Linn recording from the Scottish Chamber Orchestra and Sir Charles Mackerras, where the best of period practice is matched to modern instruments (CKD350, 2 CDs for the price of one, with Symphonies 29, 31 and 32 – Recording of the Month: April 2010 DL Roundup). Timings are only part of the story but Mackerras’s livelier pacing of the first two movements of the Linz wins the day, even though the two conductors take the other two movements at about the same pace. The eclassical.com price for Bělohlávek is a little higher than you might expect to pay for the budget CD. If you are happy with mp3, classicsonline.com offer the download for £4.99 – but caveat emptor: they also have the older full-price version for £7.99. Neither offers notes, but those included with HMA-series CDs tend to be rather sparse anyway. This follows hard on the heels of Barry Douglas in D960, with the Wanderer Fantasia (Chandos CHAN10807 – 2014/6). First a warning: these are not entirely new recordings – D959 and 960 were formerly available on HMC901800. Admittedly that CD was praised all round, but that’s hardly good cause for Harmonia Mundi to re-release it with a pair of 2013 recordings, replacing Paul Lewis’s earlier accounts of D784 and 958 on HMN911755, without making it clear what they have done unless you consult the details at the end of the booklet*. To make matters worse, while some dealers are charging as a 2-for-1  as little as £10.25 from one dealer  eclassical.com are asking $23.23 for mp3 and 16-bit lossless, with no 2-for-1 concession. Similarly 7digital.com and amazon.co.uk are asking more for mp3 than the latter are charging for the CDs. Caveat emptor unless someone has a change of heart before you read this review  of which I'm not hopeful because similar disparities, with the download more expensive than the CD, even from the same retailer, occur all too often. A photo of a cheery Paul Lewis with a basketful of piano hammers hardly compensates. This set stands or falls with Lewis's interpretation of D960, one of the works at the pinnacle of Schubert’s output and worthy to rank alongside Beethoven's late piano sonatas. Much as I enjoyed this performance, there are too many places where Lewis tries a little too hard for my liking, with a ritardando here and a rubato there which interrupt the flow of the music. As a result, the first two movements seem over-long, though Lewis actually takes almost exactly the same time for the latter as my benchmark performance from Clifford Curzon (Decca E4750842, download in mp3 or flac from prestoclassical.co.uk or 4784389, 22CDs  download in mp3 from 7digital.com, £28.99). I know that I'm in a minority in having even small reservations about Lewis's Schubert  see Kirk McElhearn’s review, above  so I suggest sampling for yourself first from Naxos Music Library if you can. * See DL News 2014/6 for a similar problem with the ‘new’ BIS recording from Osmo Vänskä of Sibelius’Lemminkäinen Suite. As a demonstration of how confusing what Harmonia Mundi have done is, Kirk McElhearn  review above  originally thought that D784 and D958 were reissues and D959 and D960 new  the reverse is true. 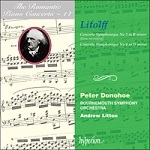 Hearing the Scherzo from Litolff's Fourth Concerto Symphonique played on Classic FM, inevitably without the rest of the concerto, reminded me that I had not yet reviewed the two recordings which Hyperion made with Peter Donohoe, the Bournemouth SO* or the BBC Scottish SO** and Andrew Litton of Concertos Nos. 2 in b minor, Op.22, and 4 in d minor, Op.102 (including the famous Scherzo, CDA66889* [69:45]  from hyperion-records.co.uk, mp3 and lossless) and Nos. 3 in E-flat, Op.45, and 5 in c minor, Op.123 (CDA67210** [65:55]  from hyperion-records.co.uk, mp3, 16- and 20-bit lossless). Both recordings, as is Hyperion's wont, come with detailed pdf booklets, including details of Litolff's private life, which was as hectic as the Scherzo. If you like big warhorse concertos, you should enjoy the whole of No.4, and No.2 is also well worth hearing. If, however, you already have a recording of the Scherzo and don't wish to duplicate it, though it receives as free-flying a performance here as you are ever likely to hear, I'd recommend the second album, with Nos. 3 and 5. 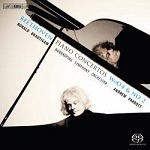 Both recordings are good without sounding exaggeratedly hi-fi  Peter Donohoe's pianism is hi-fi enough. CDA67210 comes in both 16- and 20-bit lossless. If you are left wondering what happened to No.1, it's lost. 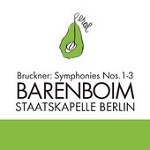 I’ve lost count of the number of recordings of Bruckner which Daniel Barenboim has made on CD and DVD/blu-ray. Following earlier complete sets with the Chicago SO (DG) and Berlin PO (Warner: Bargain of the Month – review), these three symphonies mark the start of a new label from the Universal stable, download only and named Peral (pear-tree) in homage to Barenboim (= Birnbaum or Pear Tree in Yiddish). Though I’m a Bruckner fan, this is not the place to start to get to know his music – Nos. 4, 7 and 9 would be my first stops: you might well think him rambling from No.1 in particular – but convinced Brucknerians who have the mature symphonies might well be tempted. The Staatskapelle Orchestra may not be able to match the BPO for sonority and the iTunes bit-rate at around 265kb/s is hardly ideal for this expansive music – experience suggests that the Amazon mp3 will be at a slightly lower bit-rate still – but otherwise there is very little to choose between these and Barenboim’s earlier versions. Tempi have tightened very slightly since the DG recordings and a little more again since the Warner set. The price is reasonable, at £10.99 (Amazon) or £11.99 (iTunes), but don’t overlook the fact that the earlier complete sets are also available inexpensively – at the time of writing the Warner 9-CD box of Symphonies 1-9 and Helgoland can be found for £17.32 or £15.99 as a download, and the DG 10-set of Nos. 0-9, Te Deum, Psalm 150 and Helgoland for £24.37 (£19.99 as a download). If, as he says, Barenboim truly wants to ‘get into the mentality of the digital world’, he should insist that these and subsequent releases should also be made available in lossless sound – ‘mastered for iTunes’ is not bad – hardly the worst offender by any means, but anything less than 320kb/s is far from ideal. Try hearing the eclassical.com download of Marcus Bosch’s performance of No.2 (1872 ed. William Carragan) with the Aachen Symphony Orchestra which Gavin Dixon made Recording of the Month (Coviello COV31015 – review) even in full-fat 320kb/s mp3 and you should be able to hear the difference – even more so in the lossless version. As GD writes, the performance may well make you wonder why this symphony is not rated more highly. I’ve said that the Third, sometimes known as the ‘Wagner’ symphony, approaches Bruckner’s mature style and Hyperion have just reissued their 2000 recording of the 1877 edition with the 1876 Adagio, from the BBC Scottish SO/Osmo Vänskä on the budget Helios label in mp3 or lossless (CDH55474 ). The text of this symphony is unduly complex and Vänskä’s choice of the long version of the Adagio will not be to all tastes. Otherwise he makes a strong case for the music and for a mere £4.99 this is a genuine bargain in very good sound, especially the lossless version. As with all Hyperion recordings, the pdf booklet is part of the deal. For Bruckner’s first thoughts in his 1873 edition Jonathan Nott and the Bamberg SO make a very strong case on Tudor 7133, a version which I liked so much that I made the download the subject of a separate review on the main MusicWeb International pages. Passionato, from whom I obtained it, are no longer in the download business but you’ll find this recording in mp3 and lossless sound from eclassical.com. Mariss Jansons’ live Concertgebouw Orchestra recording of the Third symphony (1889, ed. Nowak) comes together with that of the Fourth (‘Romantic’) on their own label, RCO09002, from eclassical.com in mp3, 16- and 24-bit lossless, complete with pdf booklet. You may already have a fine version of the Romantic symphony but this is well worth considering as an additional purchase to rival even classic accounts listed below. The recordings piece together a number of evenings’ performances, from 7 and 8 February, 2007 (Third) and 17, 18, 19 and 21 September, 2008 (Fourth) but don’t sound at all disjointed. As for the Fourth, my top choices remain Szell (CBS/Sony if you can find a second-hand copy) Böhm (Decca),Wand (RCA – Bargain of the Month : March 2010 DL Roundup*). 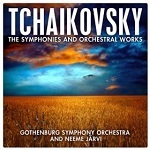 and Jochum (DG Originals, with Sibelius Night Ride and Sunrise, £4.99 from 7digital.com ). * the Amazon download price is now a little higher, at £3.96. As the 7digital.com version comes in better, 320kb/s sound, go for that if you can catch it while it’s also halved to £3.96. Otherwise sainsburysentertainment.co.uk at £6.99 offer the best price for 320kb/s. In Download News 2013/1 I recommended the complete set of the symphonies, including Manfred and with Capriccio Italien, from Mariss Jansons and the Oslo PO (Chandos CHAN10392, 6 CDs). That set costs £23.97 in mp3, £29.97 in 16-bit lossless, £31.50 on CD and £39.52 in 24-bit lossless. I also liked the first three symphonies in performances by Neeme Järvi with the Gothenburg SO (BIS-SACD-1398, 1418 and 1458) but reserved my top recommendation in Nos. 4-6 for the 2-CD DG Originals recording with the Leningrad PO and Evgeny Mravinsky (4775911 – download in mp3 or lossless from prestoclassical.co.uk). Bargain hunters can obtain all the symphonies in downloads derived from the BIS recordings made by Neeme Järvi for a mere £4.49 from amazon.co.uk. Totalling seven and a half hours, the set includes all six ‘regular’ symphonies – no Manfred or reconstructed Seventh – and several substantial fillers including Romeo and Juliet, Francesca da Rimini and the Serenade for Strings. I can’t vouch for the quality but Amazon’s similar conflation of the BIS recordings of Sibelius averages around 230kb/s and sounds perfectly acceptable. Amazon.com have the same set for $5.99. pdf booklet included, but no texts – available online. Regular readers will be aware of my admiration for Clifford Curzon, in Schubert’s last Piano Sonata, Trout Quintet, and the Grieg Piano Concerto especially, so I’m naturally going to recommend that you obtain the Decca recording listed above, which inevitably brings you the accompanying selection of music from Peer Gynt, ten items in all, as opposed to the eight contained in the two suites. 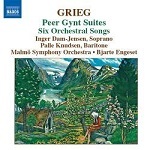 Curzon’s Grieg, however, is not the only show in town and if you have another recording – Leif Ove Andsnes, for example on Warner/EMI – but still lack Peer Gynt, there are three roads to go down. One is to choose the complete music and Naxos can oblige here (8.570871/2, with Bjarte Engeset in charge, as in the Suites – review); another is to settle for the two Suites, from Naxos or BIS, and the third is to go for a single-CD selection, as available, for example, from Paavo Järvi (Virgin/Erato 5457222 [60:03], £3.49 from 7digital.com ). That middle way would be my normal choice for listening to all the significant music, i.e. other than that which is inextricably bound up with spoken dialogue. As usual with 7digital you will have to re-number the tracks to play in the right order in any player other than their own. If you choose the second option, you could do much worse than go for the Naxos recording – Göran Forsling thought it ‘undisputedly right’ – review – and I’m more inclined to agree with him than with Stephen Francis Vasta, who had a few reservations – review. I particularly enjoyed the performances of the orchestral songs, though without memories of Kirsten Flagstad being effaced (Eloquence 4801804 – with Sibelius – review). With good recording, albeit that it’s mp3 only, the Naxos would be £4.99 well spent. Eclassical.com have it in 16-bit lossless but, at $11.83, it’s more expensive than buying the CD. pdf booklet included. No texts – available online. ‘All in all a very fine disc indeed and one that makes me keen to hear the other discs in the series so far and those yet to come.’ See review by Nick Barnard. With the small reservation that I was less taken with Landkjenning than Nick Barnard, this is another winner from Bjarte Engeset and Naxos. 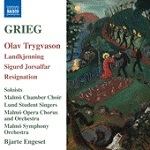 BIS-SACD-1531 : Olaf Trygvason; Foran Sydens Kloster; Six Orchestral Songs; Ved Rondane (In the Hills): Bergen PO/Ole Ruud – from eclassical.com (mp3, 16- and 24-bit lossless, with pdf booklet). See review – Recording of the Month – and review. These would not be my first choices for either work – that would be Karajan with the BPO in both* – but for a mere £0.84 or less the album is well worth trying. William Boughton and the ESO made several recordings, mainly of British music, for Nimbus in the latter days of LP and the early days of CD – rarely rivalling the top recommendations but very good also-rans, and that is the case here, the drawback being not so much the performances, which capture the spirit of the music well, as the fact that the recording is rather soupy. That’s an inherent problem with Verklärte Nacht, which is why I usually prefer the sextet original, but the problem is magnified by the acoustic here. By coincidence, the same coupling in chamber versions appears on another Nimbus recording with the augmented Brandis Quartet, NI5614 and that earned a 5/5-star review. I hope to report on this in download form sometime soon. Perhaps I’m being unfair on the recording – back in 1989 it received a clean bill of health, so the low-bit emusic.com download may be to blame. * for Strauss preferably the analogue on DG Originals 4474222 or the digital on DG 4108922, download only, or DG Collectors Edition 4779814. 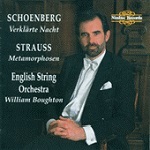 For Schoenberg DG Originals 4577212. From Naxos 8.553223: Sibelius also on 8.550329 and Elgar on 8.550489. The first releases of Naxos recordings refurbished by 2xHD in 24-bit sound which I reviewed last month all contained top-rate performances, well worth hearing in improved transfers. The reissue of four early Mozart symphonies this time – 2xHDNA2020 above – is also very worthwhile, but I’m less sure about this reissue of two violin concertos and even less sure about the Beethoven Symphonies Nos. 5 and 6, conducted by Bela Drahos on 2xHDNA2025 – good run-of-the-mill performances but hardly outstanding when the 24-bit downloads cost $20.75 and $21.01 respectively and even 16-bit cost $13.84/$14.00. The Sibelius receives a passionate performance but not one to oust my benchmark from Kavakos and Vänskä (BIS-CD-500) with both the original and ‘normal’ versions. 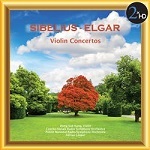 The Elgar, though idiomatic and enjoyable, is even less likely to oust Nigel Kennedy in either of his EMI recordings, with Vernon Handley at budget price (Classics for Pleasure 5751392) or Simon Rattle (apparently no longer available except in a multi-CD set or as a download: £5.99 from sainsburysentertainment.co.uk ). The recordings have come up well, though you will need to raise the volume several notches above your normal setting in the Sibelius. Keith Anderson’s notes are well worth having but they can be obtained with the Naxos releases. rec. 16-18 November 2012, Wyastone Concert Hall. Not knowing any of the music other than Britten’s Dowland-based Lachrymæ, and even that in the viola-and-orchestra version, I was tempted to download this recording by Dominy Clements’ recent review – Recording of the Month. I’m very pleased that I did so. It’s not all easy listening – the Bridge especially is emphatically not in the English pastoral style, despite the idyllic promise of the cover-shot – but the quality of the performances makes the effort worthwhile. The emusic.com download comes at an attractive price (£4.20 or less) and, albeit that the variable bit-rate averages around a less than ideal 220kb/s, it sounds more than acceptable. If you need lossless sound and must have the booklet, which doesn’t come with the download, the CD can be purchased direct from MusicWeb International – here – for £9 post-paid at the time of writing. This recording is due for release on CD on 27 May, 2014 but available for download in advance. Last year Nick Barnard made Juanjo Mena’s earlier Turina recording of Danza fantásticas and other works a Recording of the Month ( CHAN10753 – review). His only regret was that there wasn’t much more Turina for them to record, but here we have four other works and none of them is scraping the bottom of the barrel, especially when as well performed and recorded as they are here. Some of these works appear on a budget Regis CD costing around £5.50 – downloads are likely to cost more! – and performed by Mexico City Philharmonic/Enrique Batiz, which I reviewed some time ago: Rapsodia sinfónica and La Procesion del Rocio with Danzas fantásticas,Sinfonia Sevillana and La Oración del torero (RRC1299 – review) and that’s also well worth considering, especially at the price. 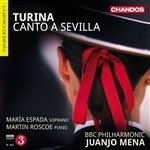 The earlier Turina/Mena recording on CHAN10753 is also available in mp3 and lossless from theclassicalshop.net and both can be sampled from Naxos Music Library. I meant to have included this alongside my review of the new Chandos recording of Bowen’s chamber music in DL News 2014/6 but that got too big on me, despite promises that I wouldn’t let my musings get over-long again, and I ran out of time. In fact there’s little that I need to add to what four colleagues wrote pretty exhaustively in 2002 – here – and 2003 – here – other than to say that the least expensive download, from emusic.com, albeit at a lowish bit-rate (c.225 kb/s) sounds fine, though the classicsonline.com at 320 kb/s is no doubt worth the extra and the lossless eclassical.com better still (£2.94, £7.99 and $12.53 respectively). 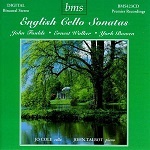 Eclassical.com also offer York Bowen’s Cello Sonata in A, Op.64, with Cello Sonatas by John Foulds (Op.6) and Ernest Walker (in f minor, Op.41) on another British Music Society release (BMS423CD Jo Cole and John Talbot [81:10]). As Trevor Hold wrote in 2001 – review – the performances are committed and musicianly. Two small problems with the download – there are no notes and the programme is over-long to burn to CD unless you settle for mp3, in which case the emusic.com price of £3.78 may prove more attractive. There must be almost as many recordings of Carmina Burana in the catalogue as there are of Vivaldi’s Four Seasons. 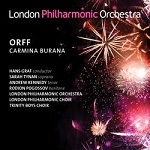 They have recently been joined by Hans Graf conducting Sarah Tynan (soprano), Andrew Kennedy (tenor), Rodion Pogossov (baritone), Trinity Boys Choir, London Philharmonic Choir and London Philharmonic Orchestra on the LPO label (LPO-0076 – review and full details). With small reservations Gwyn Parry-Jones thought this a superb issue alongside his favourite versions from Eugen Jochum (DG), Marin Alsop (Naxos) and David Hill (Virgin, now Warner Erato). The new recording now joins my own favourites: Eugen Jochum and Rafael Frühbeck de Burgos – see below.  DG Originals 4474372: Gundula Janowitz (soprano) Gerhard Stolze (tenor) Dietrich Fischer-Dieskau (baritone), Chor und Orchester der Deutschen Oper Berlin/Eugen Jochum [56:03]. Through all the time that I have known this recording, released in 1968 to replace Jochum’s earlier mono version, it has been my joint benchmark. It still sounds very well even in the 320kb/s download from 7digital.com, but it’s no longer the bargain that it was – at £8.49 where DG Originals normally cost £4.99 from this source, it’s over £1 more expensive than the CD from Amazon. The 16- and 24-bit lossless refurbishment from linnrecords.com sounds even better – review by Dan Morgan – but it’s no longer available in the UK. The DG shop also charge almost as much for the mp3 download (£7.49) as for the CD (£7.99) and £1 more for the lossless download (£8.99). Somehow the economic sense of all that eludes me.  The situation with my other long-term benchmark is even more frustrating: the 1966 recording with Lucia Popp, Gerhard Unger, Raymond Wolansky, John Noble, Wandsworth School Boys’ Choir, New Philharmonia Chorus and Orchestra/Rafael Frühbeck de Burgos is available on disc only as part of a 16-CD set,20th-Century Masterpieces. It can, however, be downloaded in EMI Encore garb for just £2.99 with Stravinsky’s Fireworks and Circus Polka from sainsburysentertainment.co.uk [67:57] – but NB more crazy economics: they also offer the same download for £6.99 and with Ravel’s Boléro instead of the Stravinsky, for £12.99.  Warner/EMI Masters 6787042: Sheila Armstrong (soprano), Gerald English (tenor), Thomas Allen (baritone), St Clement Danes Grammar School Boys’ Choir London Symphony Orchestra and Chorus/André Previn. This has been around the block a few times – this is its second appearance, with a different cover, on EMI Masters – but it’s still many people’s favourite and I rate it only a little below Jochum and Burgos – see September 2011 Download Roundup. The download from classicsonline.com which I reviewed is no longer available – they seem to have ‘lost’ all their Warner, EMI and Virgin downloads, though these remain available for streaming from their sister site, Naxos Music Library. Download the earlier GROC reissue from sainsburysentertainment.co.uk for £4.99; they also have the EMI Masters for £5.99 but both appear to offer the same 1997 re-mastering.  Warner Teldec Das Alte Werk 2564697659 offers a lower-mid-price 2-CD set from Thomas Binkley and the Studio der frühen Musik. Though somewhat long in the tooth (rec. 1964) this remains the largest single set of the music. 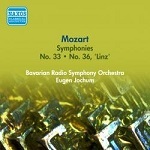 I can’t find a download source, but you can stream from Naxos Music Library.  Eloquentia EL1127 – Ensemble Obsidienne/Emmanuel Bonnardot [63:31] – from eclassical.com (mp3 and lossless, no booklet).  Naxos 8.554837 – Oni Wytars Ensemble and Ensemble Unicorn [59:07] – from eclassical.com (mp3 and lossless, no booklet) or classicsonline.com (mp3, with booklet) or stream from Naxos Music Library (with booklet). Eloquentia and Naxos overlap with each other to some extent and both to a greater extent with the Warner. Both are well worth hearing but there is no doubt which I prefer – the Naxos is much the livelier and my only reservation is that half of this album has been raided for the 3-CD set Time of the Templars which I recommended some time ago – review – and on an earlier compilation The World of Early Music. 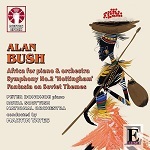 If you thought of Alan Bush as a tough composer to love, this recording of the Second Symphony, which wouldn’t be out of place as a film score – the movements are Sherwood Forest, Clifton Grove, Castle Rock and Goose Fair – may help to change your mind. 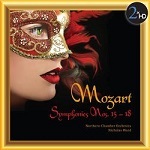 There’s just one rival recording, with the First Symphony on Classico CLASSCD484 – download from classicsonline.com for £4.99 or stream from Naxos Music Library. (Recording of the Month – review). The Communist sub-text, implicit in the reference to Robin Hood in the symphony, is explicit in the Fantasia on Soviet Themes, though the work dates from the war years when ‘Uncle Joe’ was the ally of the UK and US. Forget the sub-text and enjoy the music in these attractive performances. The emusic.com transfer averages around 240kb/s – more than adequate – and I doubt if you’ll get much higher bit-rates from iTunes or Amazon, where you will certainly pay more than £3.36, but I’ve listed them if you don’t have an account with emusic.com. No booklet from any download source, just brief notes available on the Dutton website. ‘It’s very good that these pieces have been made available on disc for they are well worth investigating. So far as I can tell – the music is all new to me – Standford’s music has been extremely well served by the Royal Scottish National Orchestra and that doughty champion of unfamiliar British music, David Lloyd-Jones. The sound quality is extremely good.’ See review by John Quinn. The discography of Patric Standford, who died on 22 April 2014, is very small – apart from some short pieces on concert albums, including a walk-on part on the Naxos CD of Hely- Hutchinson’s Carol Symphony, this is it in the UK catalogue at present. The MusicWeb International search engine won’t even believe what you want and will re-direct you to Stanford instead. Don’t be fooled by the fact that Standford’s works sometimes appear on collections of light music – the Symphony is not an easy listen by any means, but it’s worth persevering with when it’s as well performed and recorded as it is here. Full marks to the British Music Society for bringing us these recordings. Two ‘monodramas’ as Argento calls them – short operas, each for a single singer, though there are other silent parts in Miss Havisham. The first features a lecturer cajoled by his wife into giving an inept talk on Water Birds, complete with many deviations, musical quotations and bird-sound illustrations. The second imagines the moment when Miss Havisham, already in her wedding gown, heard that she had been jilted – an episode long in the past by the time that we encounter her in Dickens’ novel Great Expectations and supposedly based on a real character, a Miss Donnithorne of Sydney. If anything Dickens toned down the more bizarre aspects of the story. The music is conservative in form – the prologue to Britten’s Billy Budd comes to mind on hearing the first work – and the performances good, as far as I can judge with no benchmarks. The CD appears to be unavailable in the UK – one seller is asking £29.61 on Amazon, so the emusic.com price of £0.84 makes this a real bargain. There’s no libretto but the diction is clear enough. The recording sounds more than acceptable but the bit-rate averages only 180kb/s, which is unacceptably low when most providers now offer at least 256kb/s and many the full 320kb/s. CDLX7261: this or the Toccata piano album (below), would be a good starting point for anyone wishing to get to know David Matthews’ music. That’s not to say that the music is immediately approachable – very little of his output is – but it repays repeated hearing. For really approachable music try the Chandos recording listed at the end of this review. The Amazon download comes at a bit-rate averaging around 224kb/s, which is far from ideal; though the sound is acceptable as it happens, it really is time that the maximum mp3 rate of 32-kb/s became the norm for Amazon and iTunes, as it is now for most other download providers. CDLX7035 : If I wanted to hear Evensong or Vespers in quiet contemplation at Westminster Abbey or Cathedral I wouldn’t choose to hear David Matthews’ challenging setting, but if it’s something very different from plainsong, polyphony or Anglican chant that you are looking for and you’re in the mood to do more than sit back and be entertained, this is the recording to do it. If anything, these settings of the antiphon Alma Redemptoris Mater, the psalm Laudate pueri and the Magnificat, sandwiched between English texts – the Light shouts in your Tree-top and All will grow great and powerful again – are more powerful than the one-movement symphony. Though Dutton’s reference to Sibelius’ Seventh Symphony in their publicity material is not misplaced, all the music here is far from comfortable to hear. Performances are presumably idiomatic and the mp3 download from emusic.com, at around 240kb/s, more than acceptable and this is your least expensive download at £3.36, but there are no notes from any source. TOCC0166 : though the Piano Concerto, perhaps fortuitously, carries a significant Opus number – that of one of Beethoven’s late barn-storming piano sonatas – it’s a comparatively straightforward and immediately likeable work with only a few tougher aspects, the comparison which Matthews himself makes in the notes being with Mozart rather than Beethoven. Like the Dutton concerto recording, this too would make a good introduction to his music, though the solo works, even the final One to Tango, are mostly a tougher proposition than the concerto. There’s no booklet with the eclassical.com download – your least expensive source for a lossless version: don’t even dream of paying £14.70 for mp3 from emusic.com – but subscribers to Naxos Music Library can preview the music there and download the booklet, which is also available from the Toccata website. You can find this and plenty more of Matthews’ music on the Toccata website, including his String Quartets (Volume 1: TOCC0058 –review; Volume 2: TOCC0059 – review). Toccata recordings are also available on CD from MusicWeb International for £10.50 p.p. worldwide. 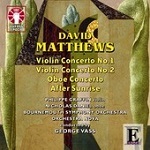 One final recommendation: Hubert Culot made the Chandos recording of Matthews’ Orchestral Music on CHAN10487 a Recording of the Month – review – and I also thought it captivating – March 2009 DL Roundup. Les Siècles is a chamber-size orchestra who perform on period instruments for a number of recording labels. That’s not too revolutionary these days, but much of the works that they perform are much more recent than what we normally think of when referring to period practice. 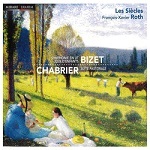 Georges BIZET’s (1838-1875) charming Symphony in C (1855, but never published or performed in Bizet’s lifetime) [35:17] and Jeux d’Enfants, Op.22 (1872) [10:02] are coupled with Emmanuel CHABRIER’s (1841-1894) Suite pastorale [19:42] on Mirare MIR036 [65:01]. The download from eclassical.com is available in mp3 and lossless and it comes with the pdf booklet. The performances would not be my first choice for any of the works but if the programme appeals you won’t be sold short by the stylish direction and playing. It’s just that Beecham (Warner-EMI 5672312 or 9099322, 6 CDs) outshines everybody else in the Bizet – see my review of Paavo Järvi with the Orchestre de Paris on Virgin. The recording, made in January 2007, is a touch over-immediate but not to the extent that it’s a problem; the Chabrier sounds better – and maybe it’s the use of instruments from the nineteenth and early twentieth centuries, as itemised in the booklet, that account for the sound. If you are looking for an alternative to Beecham from much the same vintage and at a budget price, Hallmark have reissued Ansermet’s performance of the Bizet Symphony, Jeux d’Enfants Suite and Jolie Fille de Perth Suite, available from emusic.com for just £2.52 – see DL News 2013/8. Claude DEBUSSY’s Première Suite pour orchestre (1882-4) [27:15] is coupled with La Mer [23:18] on Musicales Actes Sud ASM10 [50:33]. 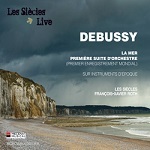 The recently discovered (2008) Première Suite receives its first recording: two of the movements were orchestrated by Debussy, the rest exists in piano duet score, effectively orchestrated for this recording by Philippe Manoury. There are some clear advantages in having period instruments for this live performance – predictably in the winds and brass – but I wouldn’t make too big an issue of it. It’s really the Suite that makes this so attractive – La Mer receives a good performance but, with so many first-class versions on the market, hardly a revelatory one. In common with most recordings on this label the playing time is mean but the price from eclassical.com ($9.10 for mp3 and lossless) compensates. There’s no booklet but there are some notes in French on the web page. I’ve had cause to complain several times recently about ‘new’ recordings which were not wholly new – see Schubert Late Piano Sonatas (above), but this recording contains only one new 3-minute track. 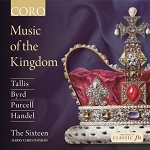 It opens with Handel’s Zadok the Priest and ends with Let thy hand be strengthened, both from The Sixteen’s recording of the Coronation Anthems (COR16066) and includes music by Tomkins (CORSACD16016), Tallis – including the alternative, English version of Spem in alium (CORSACD16016) and Sanctus (COR16038) – Byrd (newly recorded), Britten (COR16038), Purcell (COR16024), Turges (COR16026), Ramsey (COR16010), Carver (COR16051), Gibbons (CORSACD16016) and the ‘Club’ Anthem jointly composed by Humfrey, Blow and Turner (COR16041). All these are recommendable or highly recommendable albums and I’ve welcomed several of them in these pages, alluding to the Handel on COR16066 as recently as the previous DL News, but it may well be that you have most or even all of them already. If so, and you would like the new recording of Byrd’sO Lord, make thy servant Elizabeth on track 4, I’d suggest downloading that on its own (£0.99 in 320kb/s mp3 from 7digital.com). You’ll miss out on the booklet but that should be available from Naxos Music Library soon; when it is, you should also find a link to purchase the track from classicsonline.com. All the music on COR16022 is associated with English and Scottish kings from the time of the coronation of the infant James V onwards, but the purpose of the album as a whole is to celebrate the tercentenary of the accession of George I, the first of the Hanoverian monarchs, in 1714. In this it competes with the new all-Handel recording from Clare College and the EU Baroque Orchestra on Obsidian CD711 which I reviewed in DL News 2014/6, though only the two Coronation Anthems overlap – the whole set is included on Obsidian. No complaints about old wine in new bottles for this, the second in The Sixteen’s series of explorations of Polish music with Associate Conductor Eamonn Dougan at the helm. I would, however, suggest that it’s a mistake to offer only lossy versions (mp3 and aac) for a reasonable £7.99 and 24-bit lossless (alac and flac) for a rather expensive £16.50 – most download sites who offer 24-bit also include a 16-bit version at an in-between price of around £10. If you want to burn a CD you’ll have to go for the mp3 – it’s not possible to burn 24-bit recordings unless you have special equipment to burn audio DVDs. 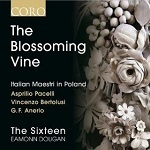 Earlier Coro recordings are available from theclassicalshop.net in mp3 and 16-bit lossless; if you wait a little longer, you may find a 16-bit version of the new recording there, too. That small grumble apart, the ethereal Marian music on Volume 2 fully maintains the promise of its predecessor (Bartolomez Pekiel, Missa ‘La Lombardesca’, etc., COR16110 – 2013/8 DL News). Performances are excellent and the 24-bit recording is certainly worth paying extra for. Many years ago, I sent an email to Robert von Bahr, the head of BIS records, saying that I wasn’t familiar with a lot of Scandinavian music, other than Sibelius. I asked him to recommend five recordings of his that I should check out. One of them was a disc by Eduard Tubin, containing Symphony no. 5 and the Suite from the Ballet Kratt. I enjoyed it a great deal, but never went further in exploring Tubin’s work. BIS is currently offering a special “bundle” on their eClassical site of all of Tubin’s symphonies, and that prompted me to check them out. For less than $30 (or £20), you get 5 CDs containing the ten symphonies, the Suite and an early work, Toccata. I’ve only just dipped into this set, but I strongly recommend taking advantage of this bundle. If you like big, bold post-romantic works, reminiscent of Sibelius, Vaughan-Williams and Shostakovitch, then you’ll love this music. Tubin was a great orchestrator, and his music, which evolves a great deal from the time the first symphony was written to the last, (1931 - 1973), is never short of exhilarating. Sometimes, as Rob Barnett says, it is “predominantly dark or chilly,” but nothing at all like Allan Petterson; more like Holmboe, or even Grieg. If you like the symphony, and have never heard Eduard Tubin, you shouldn’t miss this chance to get his ten symphonies at such a great price. The recordings are clear and sharp, and the price is right.